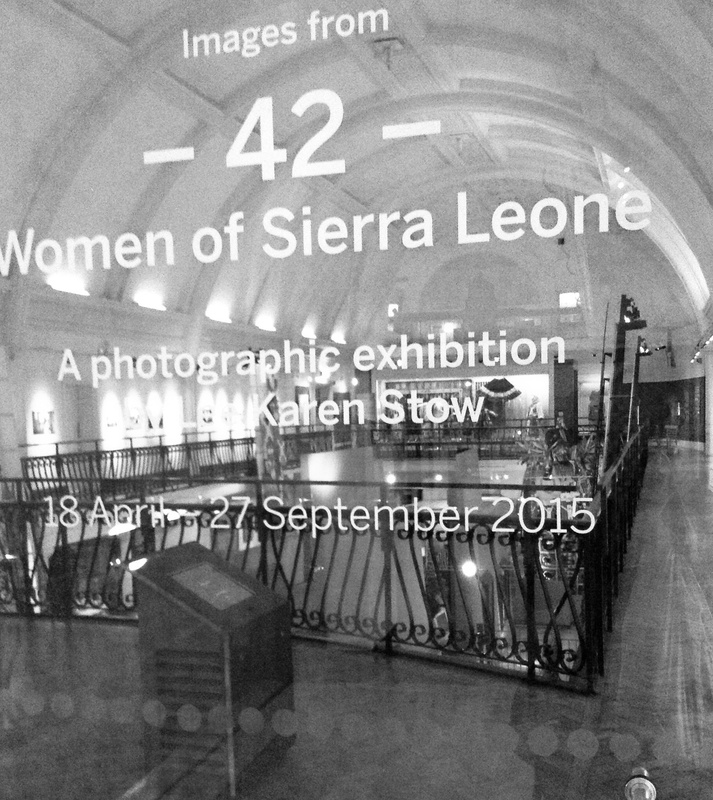 42 is the name of an exhibition featuring photographs of women from Sierra Leone by British photographer Lee Karen Stow currently being exhibited at the Horniman Museum, South London. The exhibition features women in a range of everyday settings but behind each image is a powerful and extraordinary story. 42 was originally exhibited in 2007, when Stow sought to document the brilliance and resilience of women from this previously war torn nation. Having recovered from a civil war, the Ebola virus and now flooding, Sierra Leone (which means Lion Mountain in Portuguese), is unsurprisingly one of the poorest countries in the world but ironically one of the richest countries in terms of its natural resources. A decision to re-exhibit the collection, could not have come at a more opportune moment, serving as a reminder of the incredible strength and courage of Sierra Leonean people. The exhibition’s title is a powerful and poignant statement because 42 was the average life expectancy of women in Sierra Leone when the photos were originally taken. Despite modest improvements, the average life expectancy is still extremely low, making it one of the worst in the world. The exhibition features a broad spectrum of Sierra Leonian womanhood all within their ‘natural’ habitat: women boxers in action, fashion models striking a pose, agricultural workers tilling the land, faith filled women crying out to God, mothers and children in a variety of settings, nurses caring for those in need, brigadiers exuding power and disrupting traditionally masculine spheres, human rights activists -dignified, powerful and poised- the list is endless. It also managed to feature the First Lady of Sierra Leone – Sia Nyama Koroma. At first glance, these seem like pretty ordinary images, but what Stow has done is to cleverly encapsulate an extraordinary breadth of women related issues, anchored by the accompanying blurbs. High infant mortality and maternal deaths rates, Female Genital Mutilation, girls education and gender equality, single parent households, women in work, women operating in traditionally male fields (I.e. boxing and the Army),faith as an anchor in everyday life, women pursuing their dreams despite the adversity – all of this and more is brought to life in 42. The photos also subtly promote some of the initiatives providing innovative solutions to these issues whilst also building solidarity and empowering the women. Strength, perseverance, character, beauty and determination permeate these beautifully vivid and bold images of Sierra Leonean women. What gives this exhibition added poignancy is that a few of the subjects, are now deceased including one of the children photographed as a result of poor health care. Despite some of the grim subject matters covered, 42’s dominant narrative is hope. The only criticism I have is of the location of 42 within the museum. Even though it is ideally placed on the upper floor (along the main balcony area of the museum) the area is dimly lit and in my view, limits the viewer’s experience. Similarly the exhibition is broken up by the museum’s permanent Romanian heritage collection which is slightly disorientating and disruptive. 42 is running until Sept 27th at the Hornimans Museum in Forest Hill, South London. The exhibition is free. I’ll never forget the rather infamous last words I uttered during a conversation at a festival a few years ago whilst in the company of mainly young white women (some of which I knew). Despite the festival attracting in excess of ten thousand people over the course of the weekend, there were very few people from Black, Asian and Minority Ethnic (BAME) backgrounds present. Noting the shortage, I said “Black people don’t really do camping – why would we camp outside in the cold, on the ground when we have a roof over our heads and a bed to sleep in at night?” *(Disclaimer: At this point I A) apologise for this crude generalisation although even the Guardian published an article on this matter a few years ago with some equally compelling stats to substantiate the case and B) secondly I know BAME is a problematic term- but just stick with me on both accounts). Camping, to some, may appear to be complete and utter lunacy; paying to knowingly subject yourself to the elements, sharing toilet facilities with strangers, having no access to electricity, limited water supply and snuggling up to creepy crawlies does not constitute a holiday to most (irrespective of race), it sounds like self imposed poverty. It’s a similar logic applied by my parents when I asked to attend a slumber party at my friend’s house as a child (‘party’ being the operative word, completely missed them). “Let’s get this straight, you want to sleep on someone else’s floor when you have a bed at home? No, you are not staying over”. My mum only relented when I reached my late teens. Now I understand her objection was primarily fuelled by her concerns over child protection related issues, in addition to her disdain at sleeping on a stranger’s floor. So unsurprisingly, God taught me a lesson to banish my ignorant, stereotyping mindset. A friend and I recently went camping. Both of us are Black women in our early thirties and are first time campers. (Well I have been once before but when I was thirteen and on a school trip which doesn’t really count). I have attended festivals before but usually on a day basis or if over the course of a weekend, sleep at a nearby hotel (perks of work!). The opportunity to camp arose due to the kindness and persistence of a friend who for the umpteenth time asked me to attend a festival he has organised for several years. After much deliberation, I finally relented and am glad I did because it was such a positive experience; it’s true what they say that life begins on the edge of your comfort zone. 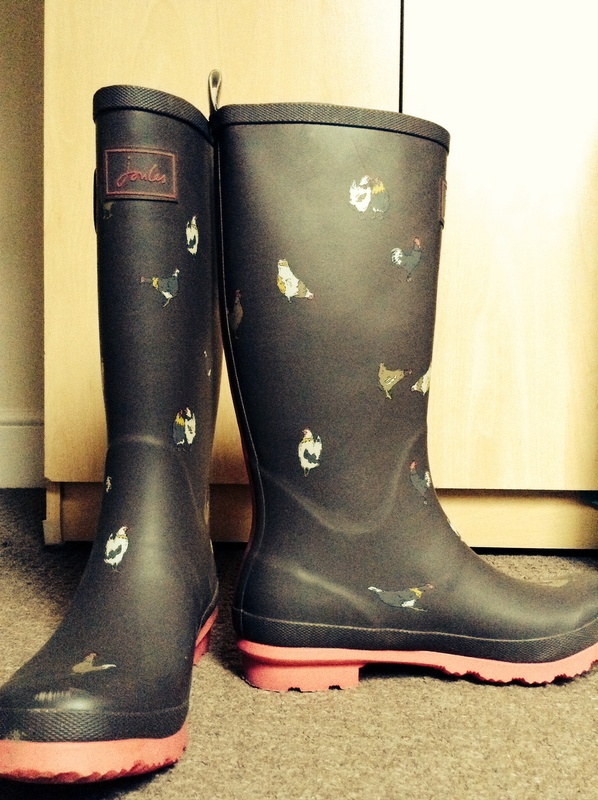 Festival essentials: love my wellies. In true thrifty fashion, I volunteered, saving on entrance fee (which, might I add, was VERY good value at £50 for three days) but primarily to keep me preoccupied whilst still enjoying the delights of the festival. I was given role of ‘Artist liaison’ which basically entailed running round and schmoozing with artists ensuring they got paid, fed and watered. In reality, I did very little but it it felt good to be involved, supporting my friend in some small way whilst finally experiencing this event he’s been harping on about for almost a decade! Located in beautiful Wiltshire countryside, the festival attracted 3,000 people throughout the three days. The weather was equally glorious aptly embodying this year’s ‘Club Tropicana’ theme. There was a wonderful variety of music, arts and cultural events / workshops including Latin themed Brazilian samba bands and capoeira workshops. More traditional festival entertainment was also on offer such as folk music, rock and roll, dance and cheesy pop sets alongside new and interesting sessions on how to take care of chickens, painting, carpentry, short films, yoga and meditation. 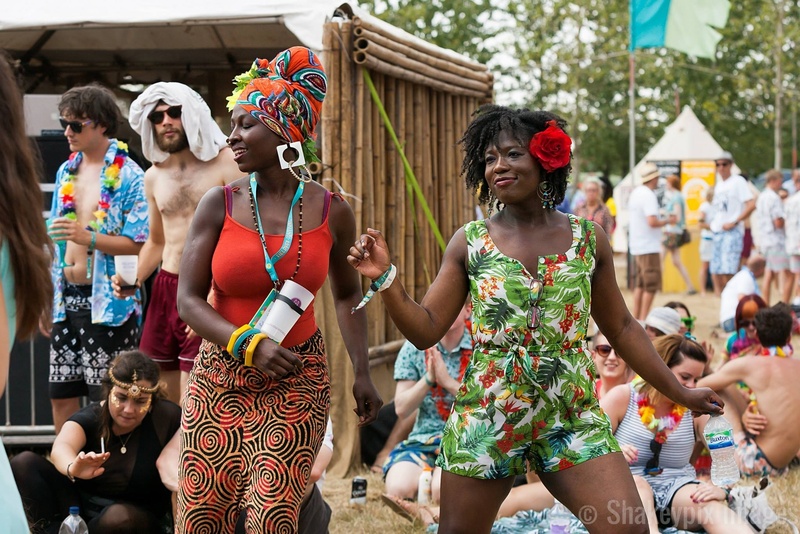 We survived and thrived: My friend and I dancing our hearts out to Congolese music. Determined to reduce costs, I managed to borrow a tent, sleeping bags and roll mats from brother’s girlfriend- a six man tent, which weighed a ton but kept out all the bugs and was such a blessing on many levels (thanks Jodie!). Similarly, as volunteers my friend and I were entitled to free meal vouchers, which we didn’t always use, but were helpful on the odd occasion for saving money. Adding our own thrifty Afropolitan twist we also brought along some snacks from home including chin chin and plantain crisps (lol #keepingitNaija). I am ashamed to admit that for my friend and I, our biggest fear was not being able to shower properly over the three days and using public toilets. Let’s be honest – personal hygiene is a big deal but especially in hot weather, so we came prepared bringing copious amounts of baby wipes, Dettol, antibacterial spray and packet tissues to compensate. In fact my friend even bought a small basin to collect water for bathing purposes which came in very handy. By the end of the weekend, I had perfected the art of squatting in public loos to avoid contact with the toilet seat, overcoming any irrational fears I had (which were plenty). Allowed me to switch off and be present in the moment- no distractions in the guise of social media, TV, Internet and the like. The instant camaraderie, community and free spiritedness were infectious – I am convinced this is where all the adults come to retain their sense of youth and playfulness. Lots of dancing until the early hours- cheesy pop or Congolese ‘happy’ music = #fun! Enjoying the simplicity of country living- we don’t need as much as we think! Stunning natural scenery – so much open space and beautiful fields of green and gold. As a self confessed Crack-Book addict, the festival forced me to digi-detox because there was almost nowhere to charge your mobile phone. 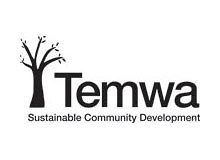 The only place which did was the stand of a Bristol based charity called Temwa, which runs a number of sustainable community development programmes in Malawi-one of the poorest countries in the world (www.temwa.org). Someone came up with the genius idea to make people pay a fiver each time they want to charge their mobile phone with donations going to the charity! The only downside of the camping experience was that I ended up with the flu the following week, due to a rookie error. I completely underestimated the number of layers I would need to keep warm at night ( I forgot the temperature dropped so dramatically), so ended up with cold in my bones rendering me bed-bound for almost the entire week. With this exception, I can say that I am a camping convert and look forward to doing more of this in the future but perhaps better prepared. A few weeks ago I caught up with the lovely, multi-talented James Cameron ( no not the director of Titanic or relative of the Prime Minister, David Cameron!). 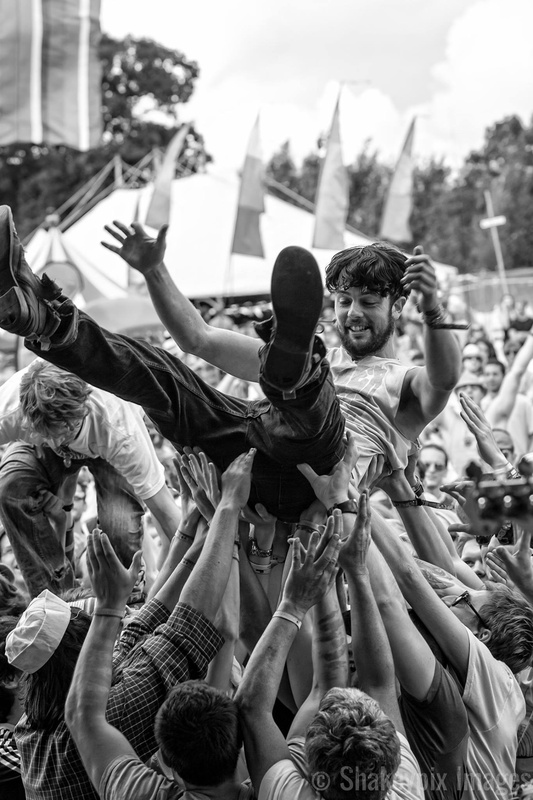 A few years ago, James and his brother, Dan started a festival in their ‘backyard’ (he lives in the countryside), combining their love of people, partying, philanthropy and playing music. Little did he know that the festival would grow to attracts thousands of people from across England and generate tens of thousands for charitable causes in the process. Q: Tell us a bit about yourself, what do you do for a living (I loathe this question but have to ask!)? I am a primary school teacher by profession, who plays a bit of music (he plays in several bands) and organises a festival. I also love to travel and explore different cultures. I was in South America for 6 months earlier this year and am pretty fond of the continent having visited several times before. Q: Day job aside, what would you say is your ‘passion’? What excites you? I love getting people to work together and using their various talents to make something happen. I feel most inspired and alive when I am creating something with people for the greater good whether that is music or events or fundraising. Q: Tell us about Fieldview- how did it begin? I’ve always loved organising parties from a young age. As I child I remember spending my pocket money booking a bouncy castle in my back garden and inviting my friends round. My parents were cool with it when most parents wouldn’t be. Field View started in a similar way; it was basically an annual gathering / party with friends and grew from there. We started in 2007 with 7 bands 1 stage, 1 vendor, 1 day to tidy up with roughly 350 friends; it was relatively easy. Then it began to grow; in the following year we had almost double the number of people and managed to raise £1200 for Water Aid who were digging wells in drought ridden regions. By 2012 over 2000 people attended and we have to date, raised over £22,000 and donated the proceeds to both local and national charities. I never thought I would make any money from it. And when we did start I decided to give it away to charity, it jut felt wrong to make money from my friends. Living the dream: FieldView founder James Cameron crowd surfing! Q: How do you decide what charities to give the proceeds to? We donate to different charities each year. 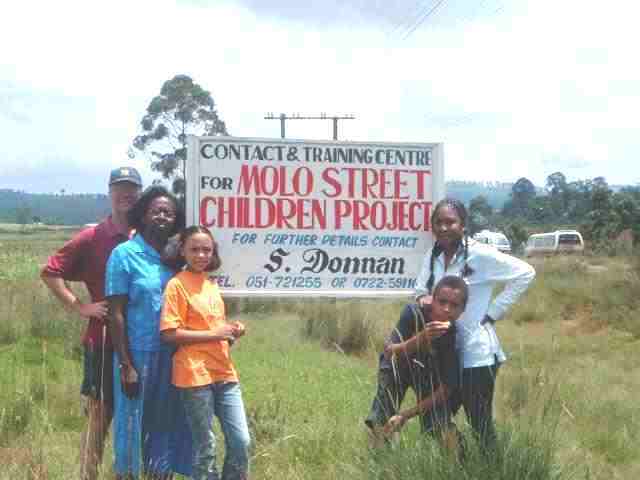 In the past we have given to a number of charities including Water Aid, the local parish church and Oxfam. It can be difficult to decide as there are so many worthwhile causes. Sometimes it might be a charity that has personally resonated with me or equally it could be an issue someone else has brought to my attention- It really just depends. 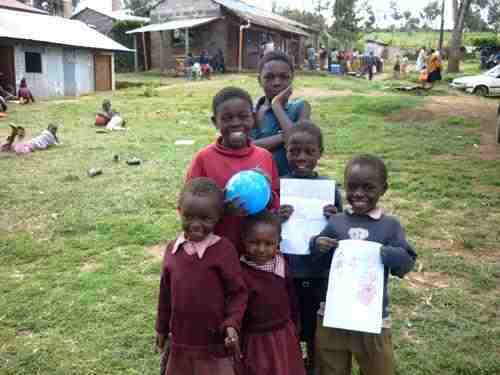 I’ve learnt over the years that contributing to local causes is just as important as the global. Q; I know that you are particularly passionate about climate change, reflected in your ongoing commitment to supporting one environmental charity year in, year out. Can you tell me more please? About 4-5 years ago we began to charge for car parking. I was keen to somehow to mitigate the effects of pollution from driving. Carbon offsetting was also quite a prominent political issue in the media and in government so I decided I wanted the proceeds to go to an environmental charity. After researching there were two potential charities which caught my attention, one of which was Cool Earth (www.coolearth.org), which works alongside indigenous communities in South America affected by deforestation. I liked the fact it was a small local charity based in the South West, with a small admin team reducing overheads. I was also quite impressed that they had Sir David Attenborough and Pamela Anderson amongst some of it’s patrons. The charity has a personalised approach to allowing a donor to see exactly where their money has gone, which was a really attractive feature. For example, you receive a personal online account which provides a visual illustration of the impact your money has made. To date, we have generated enough funds to directly save 60 acres of rainforest in Peru from deforestation. I went to the rainforest a few years ago and was shocked at how quickly and badly it was being destroyed. I would like to visit again in the near future to check the current situation. Cool Earth: chosen environmental charity. 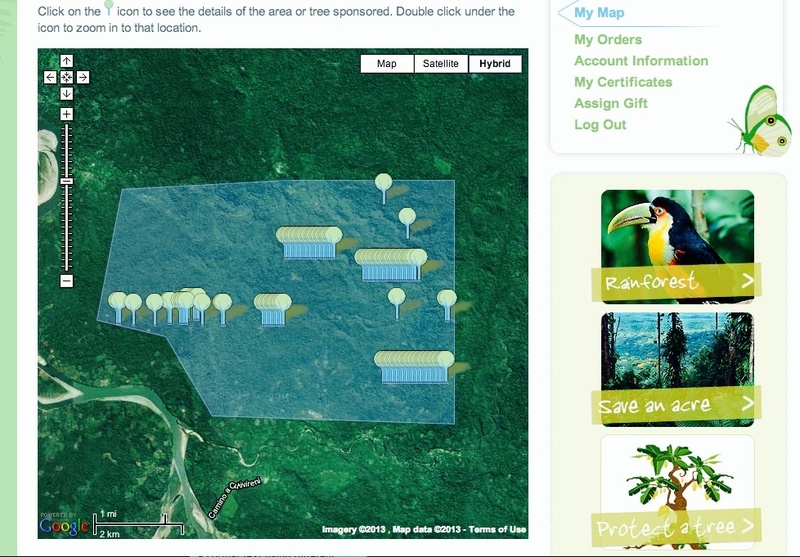 Personalised page showing how much rainforest has been saved from FieldView proceeds over the last 4-5 years. Q: Why do you think the festival has been so successful? We weren’t intentionally trying to start something. We didn’t set out to have a festival that would grow. It began as a festival for our friends. I think this is a big part of its ‘success’. If we had set out to make a festival for profit we would have suffocated it before it began. We have approximately 80 committed volunteers who use a week’s holiday a year to come down and build the festival. We didn’t ask them to, it’s just something they do because I think they get as much out of it as we do. It’s a chance to have fun with people and build something that is rewarding. Our generation want to do something real and meaningful but many have mundane office jobs, this offers an opportunity to break free from the monotony. Q: What has been some of the greatest lessons you have learnt as a result of Fieldview? We weren’t prepared for Fieldview’s rapid growth. At one point it was so big, it felt like a slightly out of control freight train, and became physically and mentally draining for all those involved in organising it. We took a break when it got to this point. Now I have to come to realise it is fine if the festival is big; you just need to plan well, have a great team on board and make sure it is well financed. At this point in my life I also realise it’s fine to make some money and reinvest it to make sure the festival can carry on. In the past I have been so against profit making my parents had to take out credit cards to pay for it! You need a balance; not all profit is evil it’s what you do with it that matters. Q: What motivates you to ‘do good’? I believe your resolve gets weathered when you get older. I had a set of ideals when I was 20; I was against making a profit, passionate about investing in my local community and committed to protecting the environment. These things remain unchanged. Q: So what’s next for Mr Cameron? My dream would be to put this altogether; record music that I love, live a sustainable lifestyle rather than whinging and criticising; grow my own food; have my own chickens; get rid of my own waste; generate my own energy…. My dream is to live out what I believe. I spent my 20s talking about it now it’s time to live it. Q: Any other nuggets of wisdom you wish to share? i believe that every action can have a positive impact. I just want to tell you one story of a couple who pretty much sum up all I am about and aspire to be. There’s a couple in Forest Gate, East London who opened up a community cafe.The venue hosts the usual range of events such as gigs, art exhibitions as well as doing some incredible community outreach work like feeding the homeless and getting young (unemployed) people involved. The cafe brought a real focus to a community which wasn’t there previously, creating a real extended family vibe. What’s particularly inspiring is that this couple recently put their house up for sale in order to invest the proceeds into the cafe. They were offered an extortionate amount of money by a property developer who wanted to purchase and turn it into a buy to let. The couple rejected this offer in favour of a much smaller figure from a a young family who were seeking to set up home. They have now downsized to a flat and have invested the extra capital into buying the cafe rather than renting, in order to continue to serve the local community. They demonstrate that you can ‘do good’, help others and still maintain a good quality of life in the process. This is how I am aim to live. 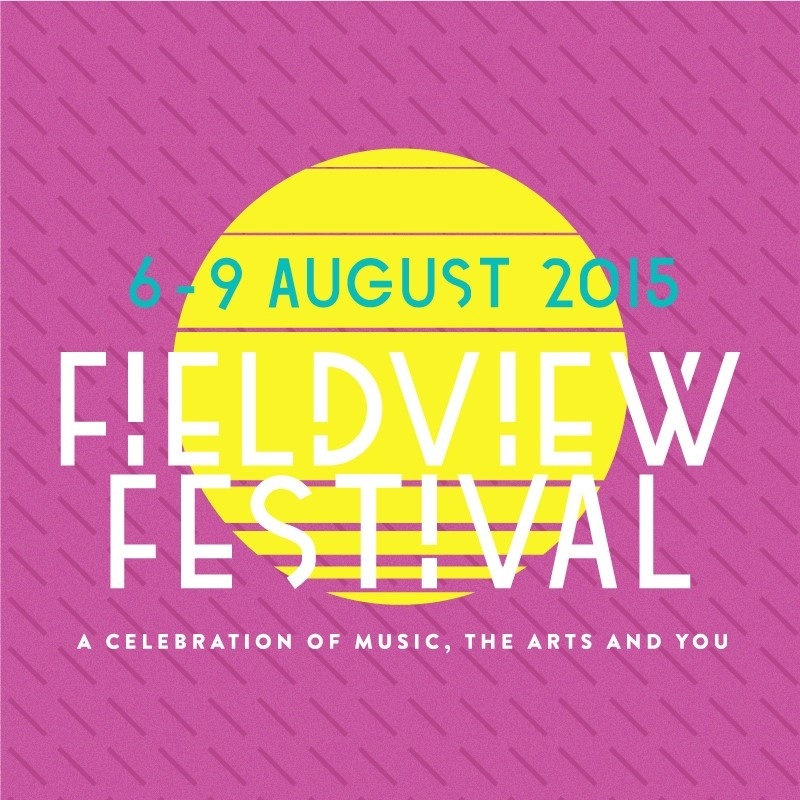 Why not come along to this year’s festival? ‘Where the party at?’ Why I love African parties! It’s the aftermath of Valentines weekend and as predicted, I have seen a number of happy couples announce their engagements on social media. Similarly this year will see an unprecedented number of my close friends getting married, (who happen to have West African connections) and I am delighted for obvious reasons but also because this can only mean one thing; there will be some serious times of partying ahead all with an Afropolitan twist! Here are just a few things I love about West African parties- whether it is a celebration of life or death- we know how to have a good time and honour those in our midst. The Native attire– I love seeing the variety of outfits made of beautiful bold colours, intricate patterns and lovely fabrics. I particularly love the variation of geles (head ties), the matching shoes and hand bags, and bold jewellery worn by the ladies. Similarly I love seeing men wearing agbadas- looking all regal and stylish; here comes the chief! 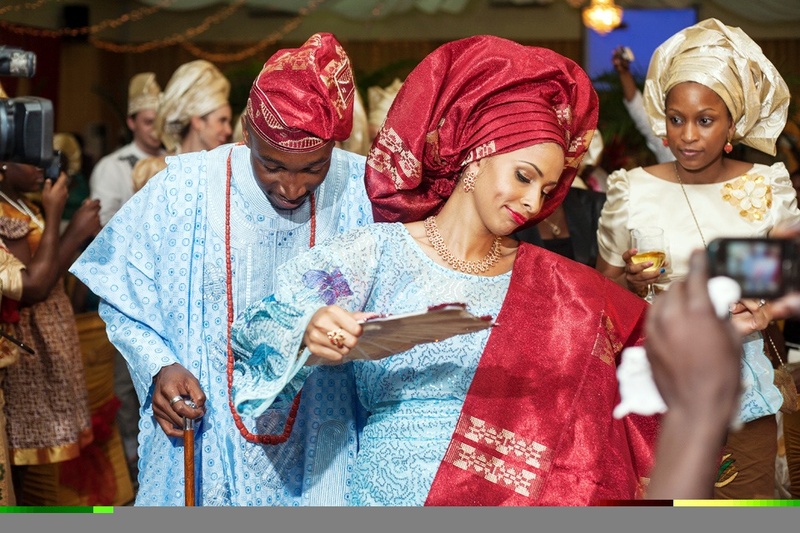 King & Queen: I absolutely love seeing traditional Nigerian outfits. Everything about it communicates infinite swag! The (atrocious) Time keeping- This is a contentious one as some will dislike this generalisation, but almost all the African parties I have attended do not start on time nor do they make any attempt to. It is a well- known secret that if an African party is supposed to start at 7pm- most people will not arrive until at least 9 pm. 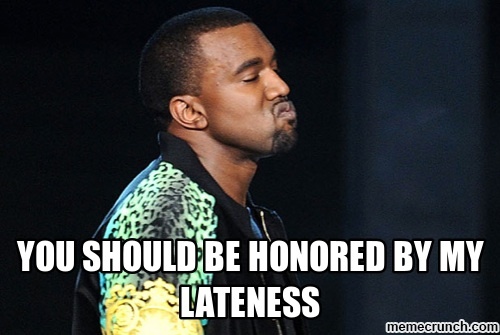 Nigerians on arriving ‘fashionably’ late! The Live band – This is one of my favourite parts of a proper traditional party. The band usually consisting of a singer, drummer, percussionist, guitarists and key board player-will ride melodies and sing songs of blessings in the native tongue ( i.e. Yoruba) heavily incorporating improvisation. If you pay them they might even give you a musical shout out by including your name into a song! A lot of the time the keyboards / melodies are frenetic and the rhythms varied and unpredictable but they always make you dance. (See video above for live band in action). 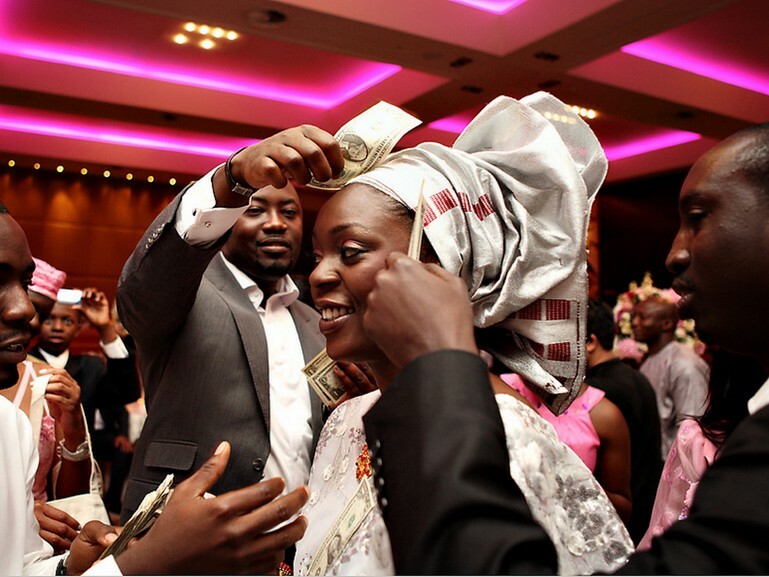 The Money changers– they will exchange your pounds into dollars (US) or Naira so that you can spray the wedding party for example. Money changers are easily identifiable because they are usually men with stacks of cash at the door. The Gifts- I love the range of commemorative goodies / favours you get from the parties; random Tupperware with someone’s face emblazoned on it that you don’t know, calendars, key rings, pens, trays, box of salt, washing pegs, mugs, packets of noodles, toiletries, watches- you name it- I have seen it make an appearance in a ‘party’ bag. No product is off limits. Generosity: The goodies you might receive at an Afropolitan party. 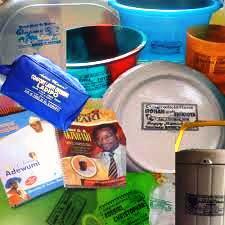 The ‘Characters’– There are no shortage of characters at Nigerian functions i.e. the big mama aunty, the ‘chief’, little children, elders commanding respect and ordering you around to get yet another can of drink – even if you don’t know them etc. Random strays no one knows but you can’t turn away-you know the one- a friend, of a friend, of a friend who always seems to be ready to eat. The Cuisine– I love party rices. Yes it sounds stupid but what is normally standard jollof or fried rice, is given extra special treatment by caterers. Another treat is moin moin (bean cakes)- a rare commodity that always seems to be scarce at parties- reserved for adults only. Other standard dishes you are likely to see are coleslaw, endless trays of meats, fried fish, stew and plantain etc., Infinite buckets of canned soft drinks and super malt will also be on offer. 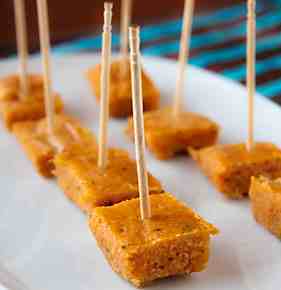 For adults only: Moin Moin (bean cakes) it seemed was reserved for adults only! This is essentially a vegetarian dish but is sometimes made with bits of fish, egg or corned beef included. The Prayers- praying is an essential part of our parties whether it’s at weddings, a celebration of life (celebrating the newly deceased) or a naming ceremony giving thanks for new life, The prayers are typically said in both English and in the native tongue of the celebrant (s) and are normally led by the elders. The Spraying This is one of my favourite traditions in Nigerian culture. For example, at a wedding reception the bride and groom are ‘sprayed ‘during their first dance (when guests place money on the couple- usually on the forehead). This generous act of public giving is a way for family and friends to openly bless the couple and give them a good financial head start as they begin married life together. This can be very lucrative as I know of several couples that have literally made thousands of pounds from this; it can also be a nice little money earner for children- if this is permitted. As a child, (I was a bridesmaid for my aunty’s wedding aged 10) my cousins and I were assigned the glamorous task of collecting money which had fallen on the floor during the spraying session. We picked up the seemingly never ending flow of notes and decided to ‘reward’ our efforts by pinching a tenner at the end (no we didn’t ask permission). We got caught by some aunty and needless to say we got ‘taught’! 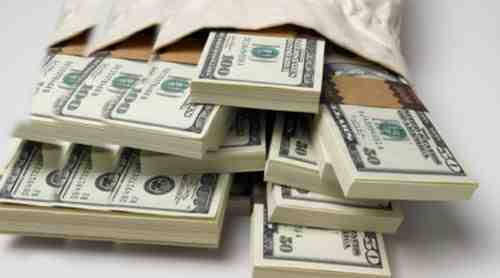 Spraying: The act of publicly bestowing money upon the celebrant (s). This can be for any occasion, not just weddings.